I love using spices to elevate my recipes in a way that is healthy and low calorie – take these Open Faced Naan Samosa Bites, for instance. 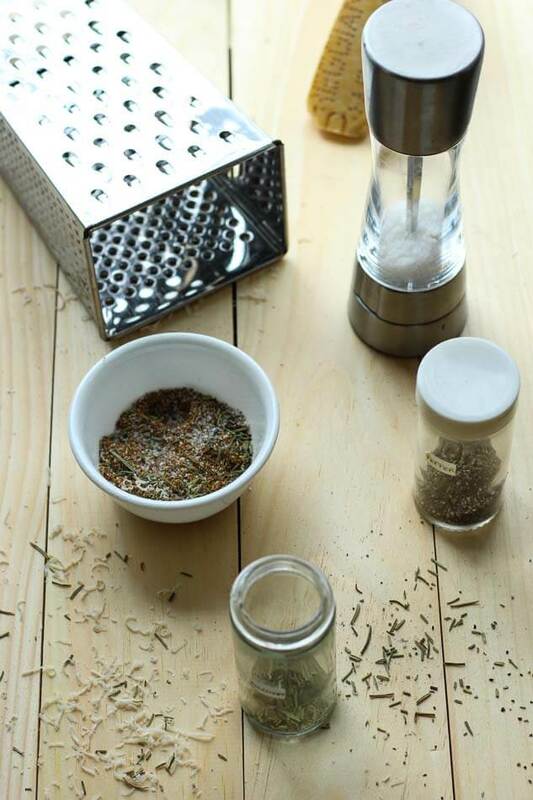 You'd be surprised to realize what kind of flavour you can add with just a look inside your spice drawer. I highly encourage you to play with this recipe and add the spices you love. I could see this popcorn being especially delicious with curry powder and garam masala, or even with some dried oregano and a bit of lemon zest. Popping corn is better for you than microwave popcorn, and takes less time than you think. You can of course be even lazier and just use microwave popcorn and add the spice mix, but popping corn on the stove is an experience! Since I'm still home for the holidays, my mom helped me with this one. Back when she grew up in the 1960s and 70s, there were no microwaves. On a Saturday night, her dad used to pop the kernels as a treat for her family, so this time it was her turn to take on the tradition. I just spiced it up a bit! This special spice blend was more or less a last minute creation. 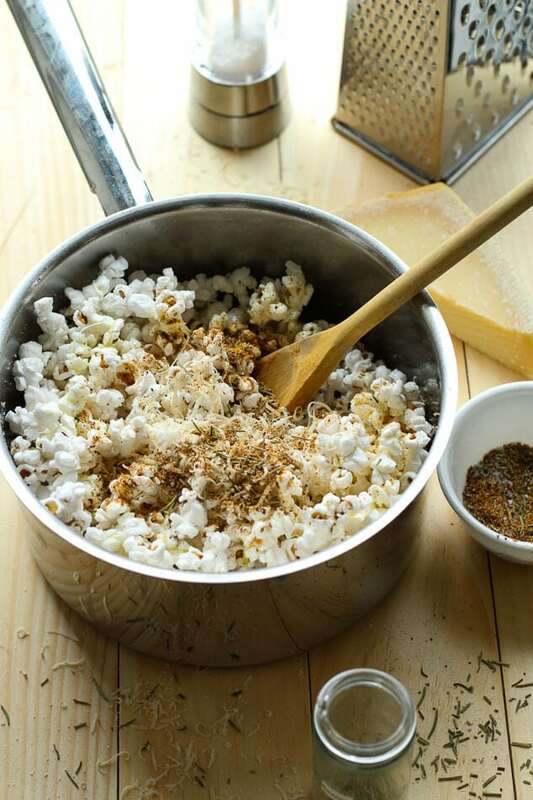 I tend to love anything spicy, and my mom is obsessed with garlic, so I decided to combine the two flavour profiles and add in some parmesan cheese, which lends a natural saltiness to the popcorn. 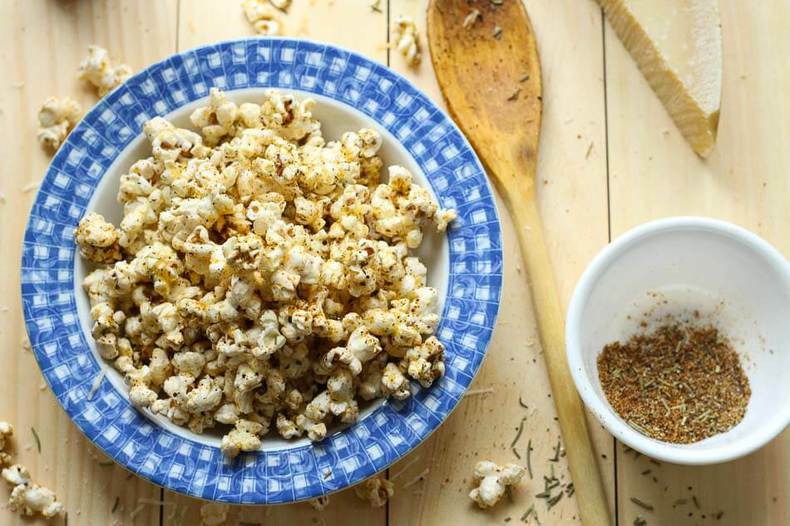 I also suggest using olive oil as a coating because it is better for you than butter, but it's really up to you to make this popcorn as healthy or as indulgent as you'd like. 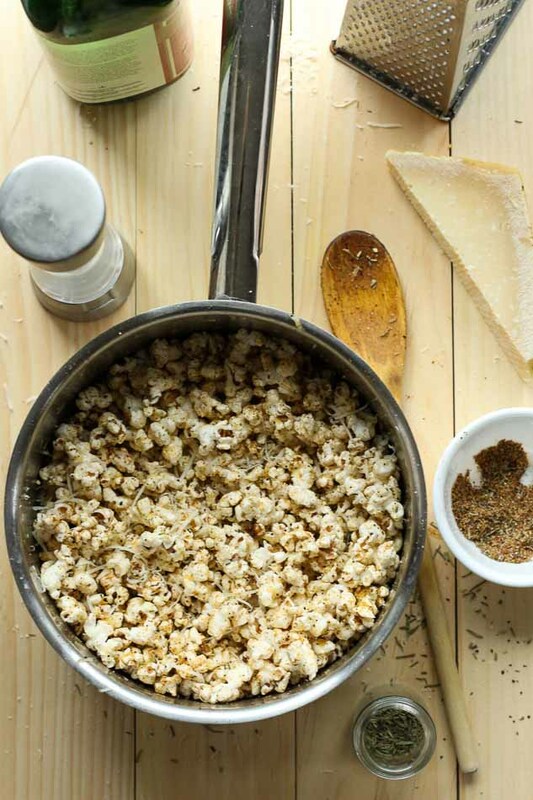 Parmesan cheese just tops the whole thing right off and adds a very rich and comforting flavour to this popcorn. We've still got our holiday decorations and lights up, and everyone in my family has been enjoying all the leftover treats from the big Christmas day feast. There's something so comforting about coming home for the holidays, so why not drag out the good times as long as possible? Lucky for us this popcorn is the exception to belly-busting indulgence, with the same big flavours. 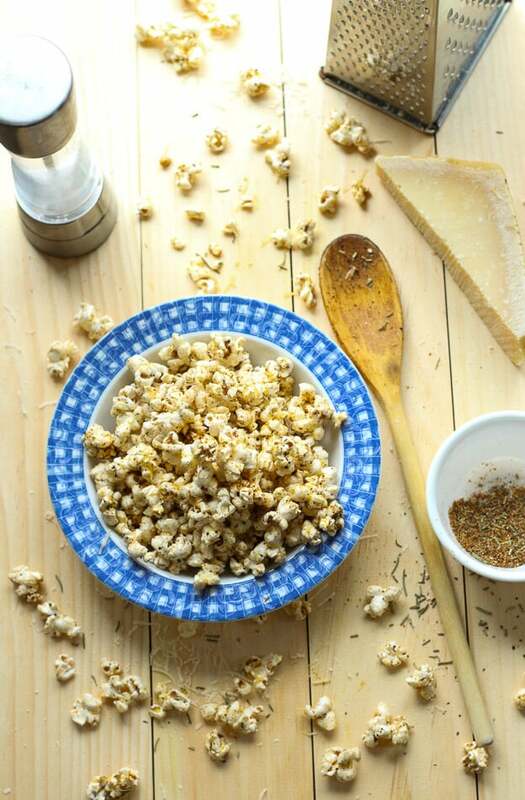 Will you be trying this Easy Spicy Garlic Parmesan Popcorn recipe? 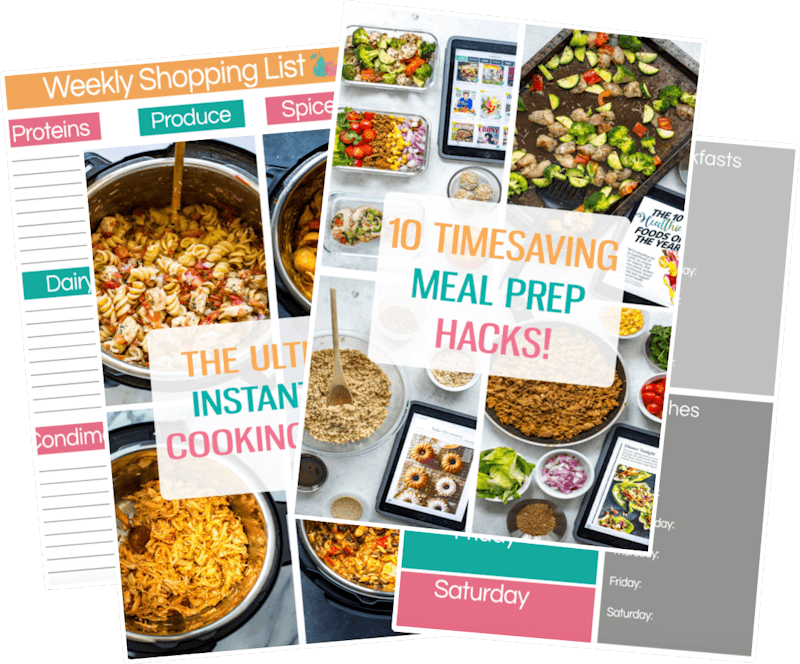 If you do be sure to tag me on Instagram and Twitter – and I'd love to see what other quick and easy snacks are your favourites, I need tips for the New Year! 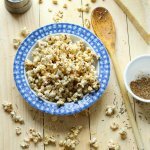 This Easy Spicy Garlic Parmesan Popcorn recipe uses popping corn, olive oil and a special spice blend for a tasty, low-calorie treat! In large pot (make sure it comes with a fitted lid! 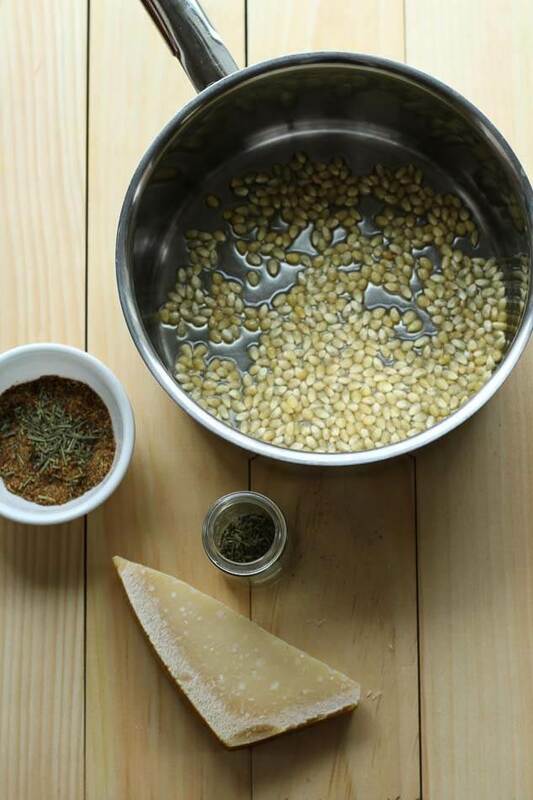 ), add 1-2 tbsp olive oil (you will have to eye-ball it) and add popping corn. Cook covered on med-high heat, shaking pot often as popcorn starts to pop. Check on it every once in a while to make sure it isn't burning. You should be able to tell that it's done because the whole pot will be filled with fluffy white kernels! 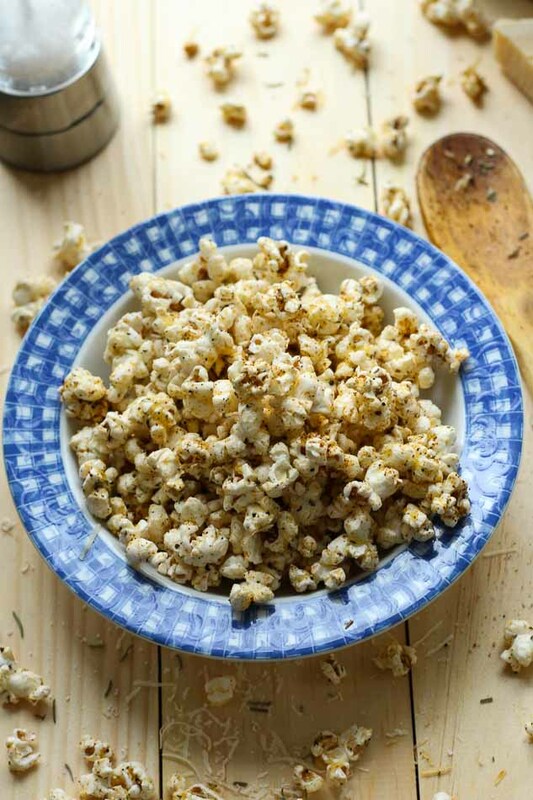 Mix together spice mix, and drizzle olive oil over hot popcorn. Put on your desired amount of the spice mix (I used almost all of it) and toss popcorn to make sure seasoning is even. 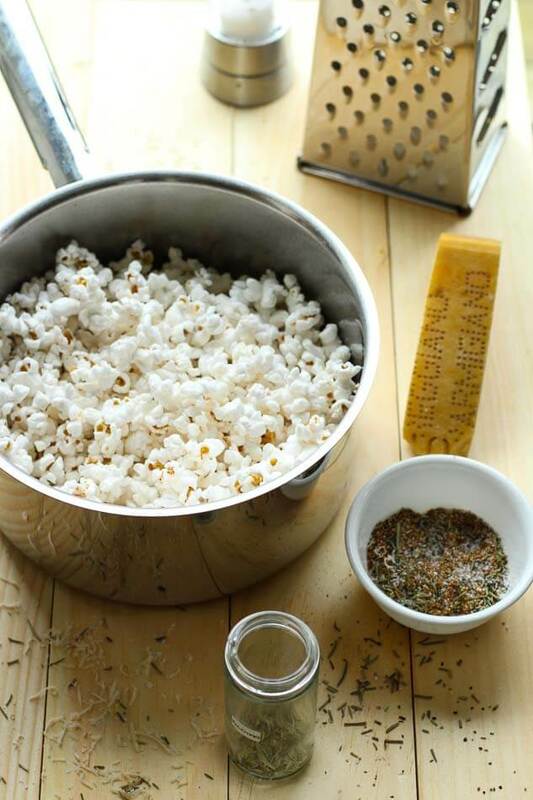 Grate parmesan cheese directly on popcorn and toss to coat. I would start out with 1/3 cup of cheese for now; you can always add more. What a yummy recipe! We always pop our own popcorn, but we never spice it up. I think its time to change that! This looks delicious! Thanks so much Michelle! I was seriously surprised how simple this was! Popcorn is my favorite snack! Love this flavor combo!! Thanks Kathryn! 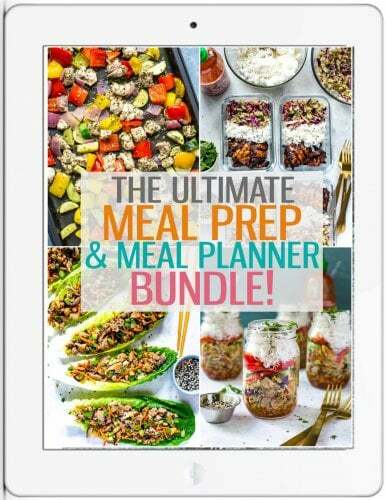 Let me know if you give it a try!